What Went Wrong with the Dodgers? As a diehard Dodgers fan I was saddened, but by now inured to their inevitable fate. So I asked myself, “Self, what went wrong this time?” Let me point out a number of things. 1 The Mets are pretty good. In a lot of ways the Dodgers didn’t lose, the Mets simply won (and congrats to both Bill and Glen). It’s a good team and good teams tend to win. So in many ways the answer to what went wrong with the Dodgers is that the Mets played better ball. 2. An over reliance to two pitchers won’t, as a rule, get you a championship. Yeah you can pull it off if you’re the ’63 and ’65 Dodgers (Koufax and Drysdale) or the 2001 Diamondbacks (Johnson and Schilling), but you’re not going to do it very often. All the other team has to do is beat your big guys once or twice (in this case the Mets beat both Kershaw and Greinke once each) and your team has nothing to back up the big guns. On point the ’65 Dodgers were in trouble until Claude Osteen turned things around in game 3. This year’s Dodgers didn’t have an Osteen. 3. It helps if you know how to trade something other than ball cards. The Dodgers pickups and losses before the season began and after it started weren’t inspired. They got rid of Dee Gordon. You know Gordon, don’t you? He hit .333, stole a league high 58 bases, had a league high 205 hits, had 4.9 WAR (BBREF version). In 2014 he played for LA. In 2015 he played for Miami. And the Dodgers got Howie Kendrick who hit a reasonable .295 but with 137 hits, six stolen bases, and all of 1.1 WAR. They also got Jimmy Rollins. I don’t want to imply he’s old, but he has to remember where he was when the Japanese bombed Pearl Harbor (and he probably shouldn’t have won the MVP he won). His numbers were .224, 12 stolen bases, 116 hits, and -0.1 WAR. Then there was the Latos deal. Seriously? They expected Matt Latos to put them into the World Series? Heck, I coulda done that bad and would have done it a lot cheaper. Then they traded for Chase Utley. I like Utley but he’s as old as Rollins and equally over the hill. 4. This is a team that doesn’t hit all that well. In a fifteen team league that led in home runs, but were 13th in hits. They were second in walks, but 11th in doubles and fifth in total bases. They were tenth in batting average. Kershaw and Greinke had a WAR over 7.5. Next on the team was Adrian Gonzalez at 3.9 tied with Justin Turner. I could go on, but I’m tired and I’ve vented long enough. There are a lot of things LA has to fix (not least of which is resigning Greinke) in order to repeat as West champs. I’ve been a Dodgers fan so long I know better than to hold my breath. As baseball plays nine innings in a game, it seems reasonable to look at the just concluded regular season by noting nine more or less random aspects of it to the tune of some Country Music titles and lines. 1 Back in the Saddle Again. There were a lot of team surprises this season for fans who hadn’t seen their team win in a long time. The Mets and Rangers, who’d done good work earlier in the century returned to prominence. No one expected them to win their division, but here they are getting ready for playoff games. Same is true of the Astros, who only a couple of years ago were the worst team in MLB (and just broke a six year run of losing seasons). And while we’re at it don’t forget the Yankees weren’t supposed to be very good this year (and Joe Girardi will still get no credit). You could say that the AL playoff game might have been the surprise game of the year. And my son is happy to see his Twins get above .500 for the first time in a while. 2. He’ll Have to Go. Last season Matt Williams was National League Manager of the Year. This season he got fired. Strange how that works, isn’t it? 3. Don’t Worry About Me. 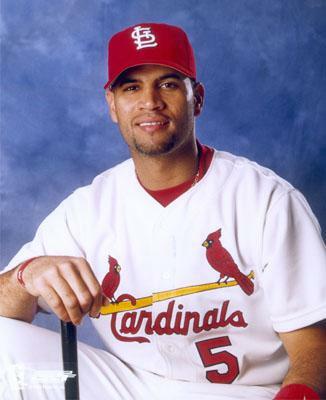 It was great to see the return of Albert Pujols to something like his old self. OK, it was only for half a year, but it reminded us just how good Pujols was in St. Louis and why Anaheim paid so much to get him. 5. With Every Heartbeat I Still Think of You. Although no one ascended to Mount Rushmore heights, a lot a milestones were reached this season. David Ortiz picked up his 500th home run, Albert Pujols slugged his 560th, Clayton Kershaw became the first pitcher in 10 years to notch 300 strikeouts, Zack Greinke’s ERA was Gibsonesque (is that a word? ), Ichiro Suzuki got within one halfway decent season of 3000 hits (and he pitched an inning), and Alex Rodriguez, like Suzuki, got within one season of a milestone. In Rodriguez’s case it’s 700 home runs (stated without reference to steroids and without intending to spark debate about either Rodriquez or steroids). 6. Trailers for Sale or Rent. I don’t remember a trade deadline that was so meaningful to so many. Hamels, Cespedes and Tulowitzki were key to the championship runs of the Rangers, the Mets, and the Blue Jays. And Latos was one of the things that came close to costing the Dodgers their shot at a pennant. There have surely been more meaningful deadlines but I can’t remember any recently. Feel free to correct me if you do remember a recent one. 7. Am I That Easy to Forget? Miguel Cabrera is one heck of a ballplayer, isn’t he? He just won his fourth batting title and no one noticed. The four wins puts him in some elite company. Ty Cobb, Ted Williams, Rod Carew, and Wade Boggs are the only American Leaguers with more than four batting titles. Cabrera’s home run total was way down this year and maybe his period as a power hitter has come to an end, but he can still hit. Of course there are a lot of other superior ball players giving the game a try right now. One of those is Adrian Beltre, and you can also say a lot of the above about him. His home run total was also down, but try and imagine the Rangers in the playoffs without him. 8. One by one, they’re turning out the lights. If all those players who reached, or got within reach, of the milestones mentioned in #5 above, have gotten to those milestones, it means that we’re seeing the end approaching for a number of truly fine players (Kershaw and Greinke excepted–they’re still in mid-career). That’s a shame. All of them have given fans wonderful (and sometimes not so wonderful) memories. For some it’s a short wait for a call from Cooperstown. For others it’s a longer wait and possibly a call that never comes. But you gotta admit, they were and are great to watch. 9. Poor, Poor Pitiful Me. This has been a year of absolutely dominant pitchers. Sometimes you can’t help but feel sorry for the hitters. And you know, Dodgers left-handers whose last names start with “K” are pretty good, aren’t they?